We know you thought sneaker heels died with the disbanding of the Spice Girls, but if Posh can have a career beyond “Wannabe,” the ’90s shoe trend deserves another chance, too. And a few designers are doing the very best to make that happen. 80%20 really pioneered the hidden-heel trend, giving those who want a height-boost a couple inches without the prissiness of a heel. Chloé toyed with the idea of a chic sneaker heel back in 2010, and Isabel Marant really took it to the next level with her puffy sneaker wedge — et voilà! For the first time in years, a sneaker became the shoe to own within the Fashion Week street-style circuit. The modern version is a far cry from the Converse-esque, conical heel of yore, and we can’t wait to slip our feet into something that gives us that height boost without leaving us limping. 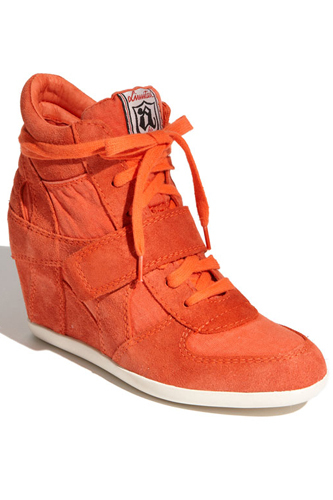 Treat your feet this season and check out the sneaker heels that are getting a rise out of us. 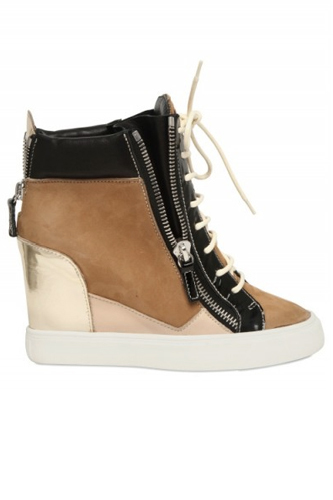 Giuseppe Zanotti Suede and Leather Sneaker Wedge, $650, available at Luisaviaroma. ALDO Netz Heel, $62.99, available at ALDO. 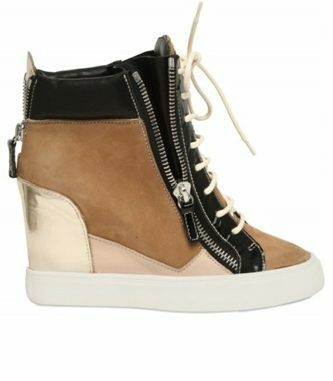 Ash Bowie Sneaker, $224.95, available at Nordstroms. 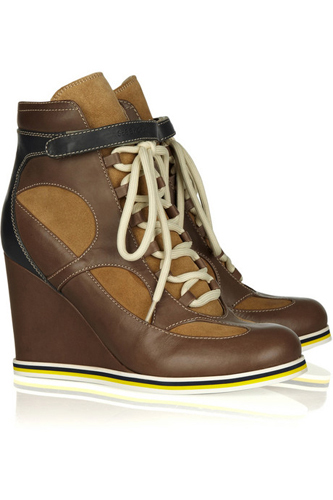 ASOS ARK Leather Wedge Ankle Boots, $152.19, available at ASOS. 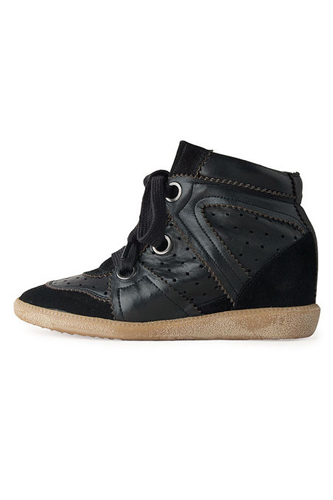 Isabel Marant Betty Low Top Sneaker, $680, available at La Garconne. 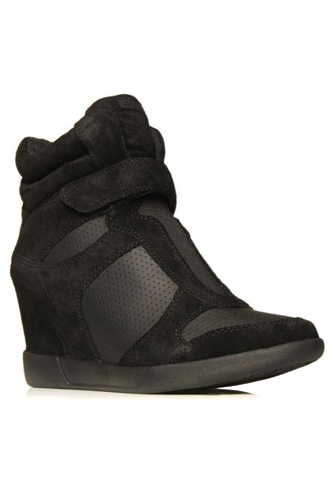 DKNY Heath Sneakers, $299.19, available at House of Fraser. 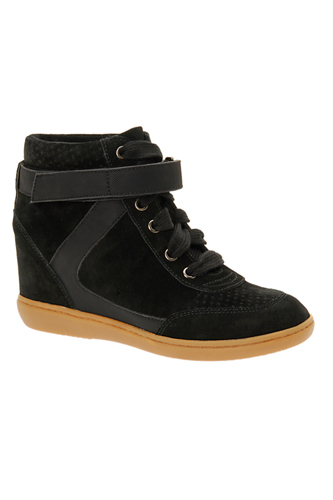 See by Chloe Leather and Suede Sneaker Style Ankle Boot, $395, available at Net-a-Porter. SLVR Oxford Wedge, $185, available at Adidas.